Sports not just provides a medium for exercise but is also important in the physical growth of children. 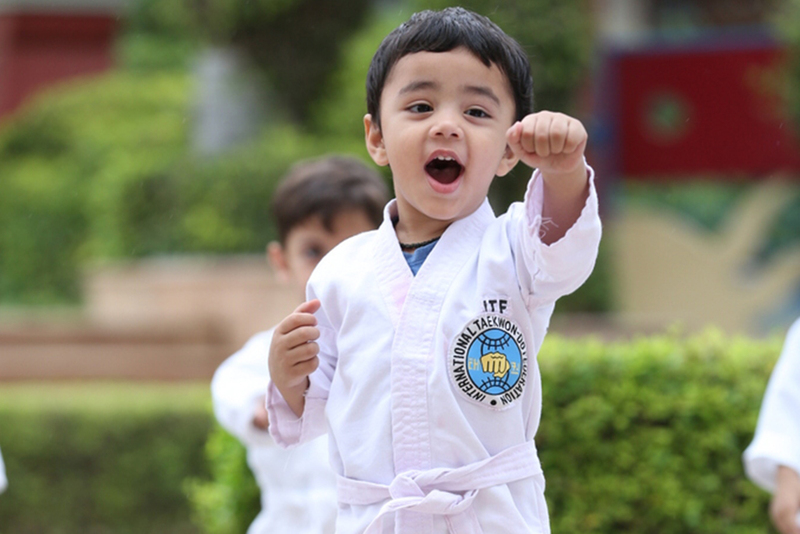 With an aim to build flexibility, teamspirit and confidence amongst our little Prideens, many Sports Activities such as Yoga, Taekwondo and various other drills are organised at Mother’s Pride. Such activities help students to explore their hidden interests and talents and teaches them the benefits of goal-setting and practice. Yoga provides an ideal channel for these high-energy youngsters to build a foundation for a healthy development of mind & body. It increases coordination, improves concentration & self-expression and encourages a calmer mind. 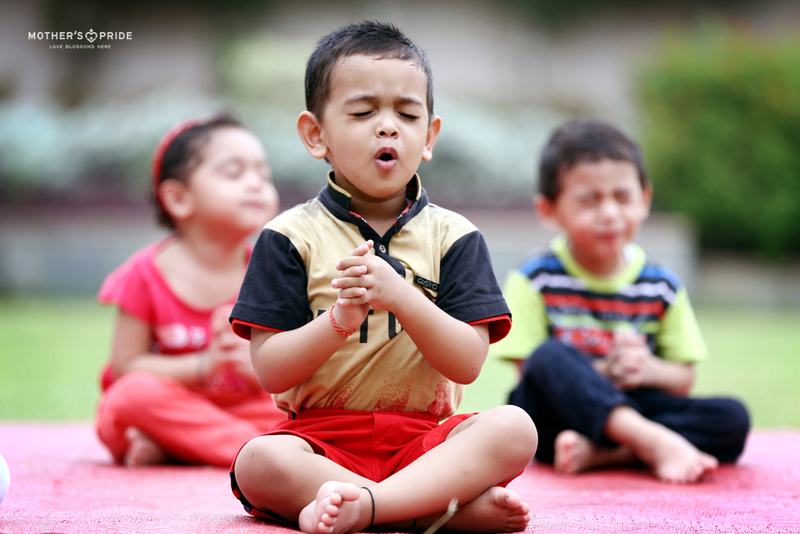 You’ll simply laugh out loud when you’ll see our little darlings try out yoga poses. Ask them to close their eyes and they will still manage to take a peep! But, when they truly indulge in their Yoga sessions, they develop mental discipline and agility. So, let’s get started! Om Shanti! A black belt is a white belt that never gave up! We truly believe that if children begin their practice at an early age, they can achieve great milestones when they grow up. Our favourite sounds of all is to hear the ‘Yee-Haa!’ from the Prideens during their Taekwondo sessions. Here, the children kick and punch their way to fitness. And, in the process, learn the value of discipline and perseverance. 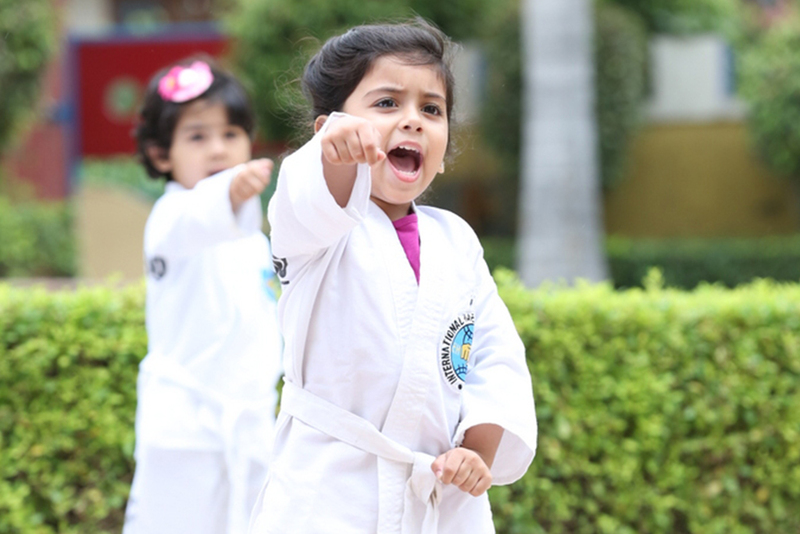 The little Taekwondo Masters also get an opportunity to participate in diverse Taekwondo Championships every once in a while wherein they display their flawless skills and win laurels. 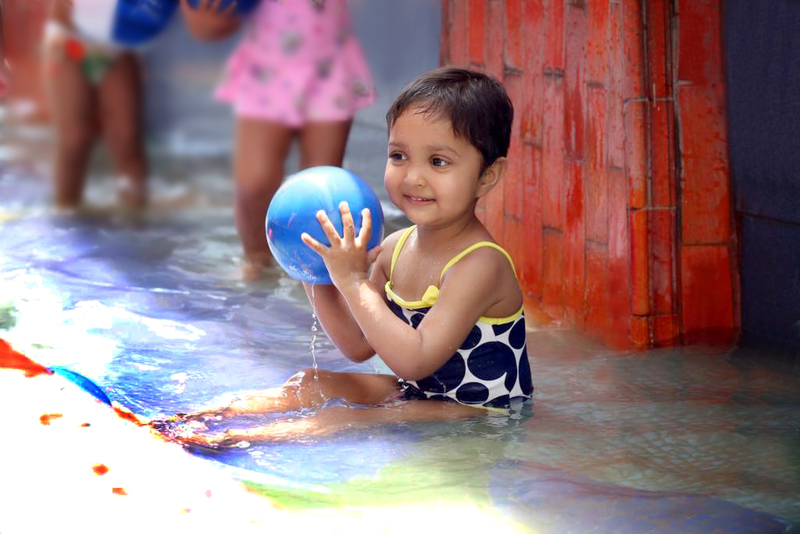 Structured activities are very important for fostering development among the children. The routines and rules help them become disciplined and focus on enhancing many other life skills. However, introducing time for free play can make their day more balanced. 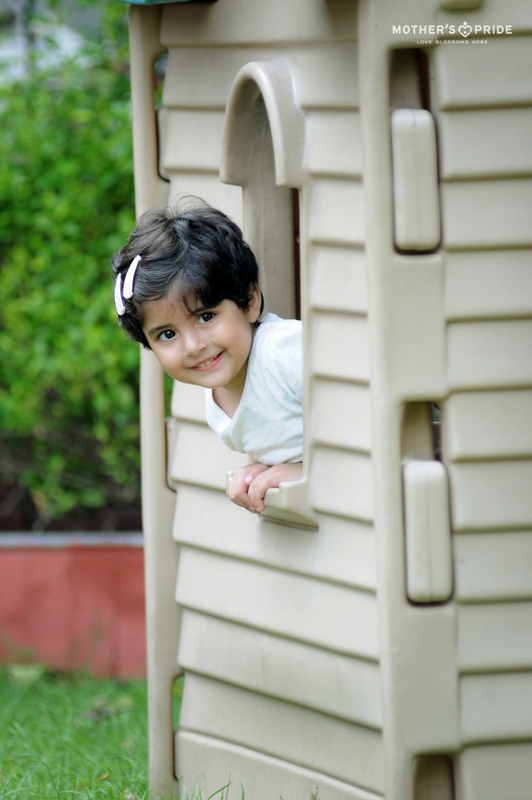 During free-play, a child can enjoy and learn at his/her own pace. It builds the kind of ‘free & easy’, ‘try it out’, ‘do it yourself’ type of culture that our future needs. We simply love the sight when the Prideens have a gala time at their favourite play area. 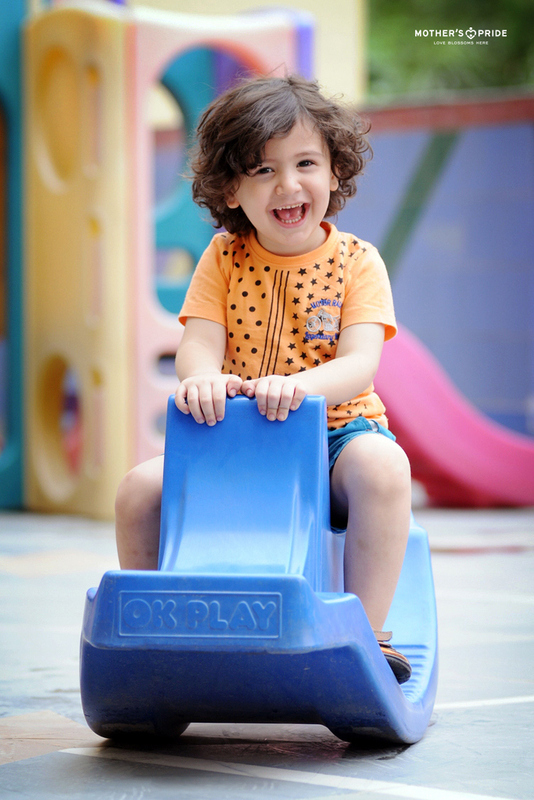 The swings, slides, see-saw and little monkey bars also fosters physical development, enables independence and enhances their decision making, collaborative play & gross motors skills. 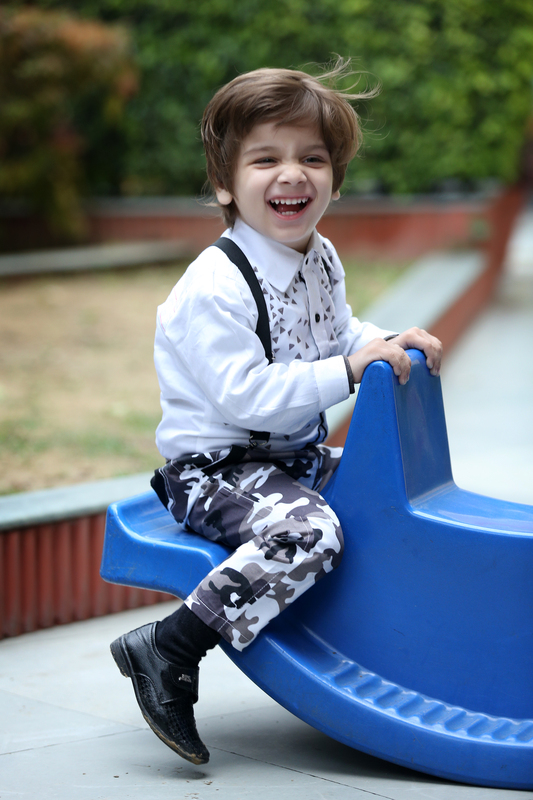 There are certain activities that are very close your heart during childhood. One of them being spending countless hours at the ball pool. 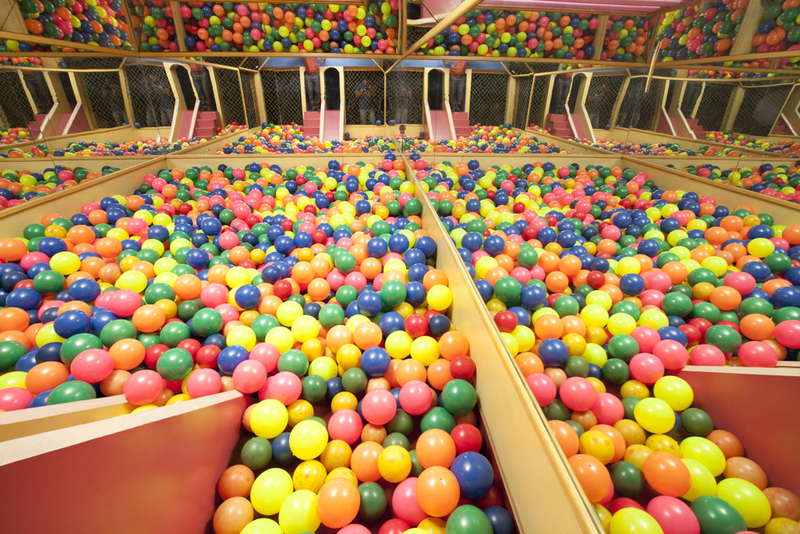 We couldn’t differ with this feeling, which is why, we take our children to our very own ball pool where they enjoy playing around many colourful balls. 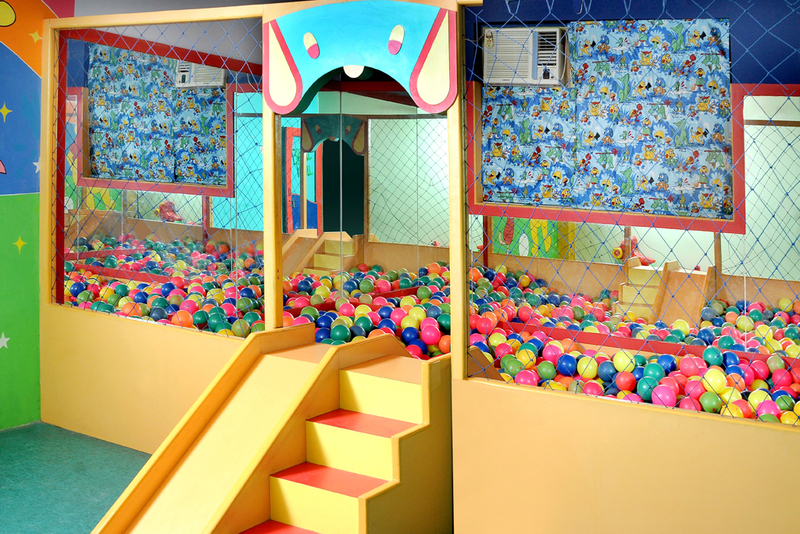 The ball pool provides a multi-sensory environment wherein the children play, learn and relax. 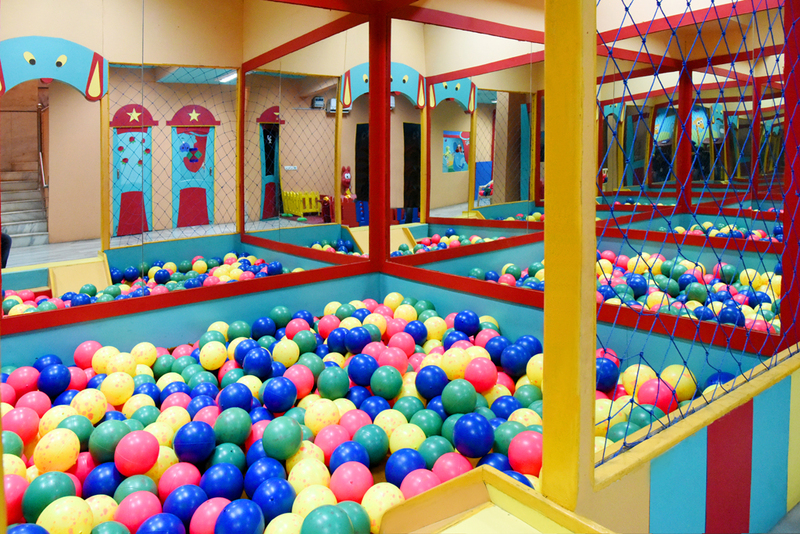 It is also believed that ball pools have a therapeutic effect on them. 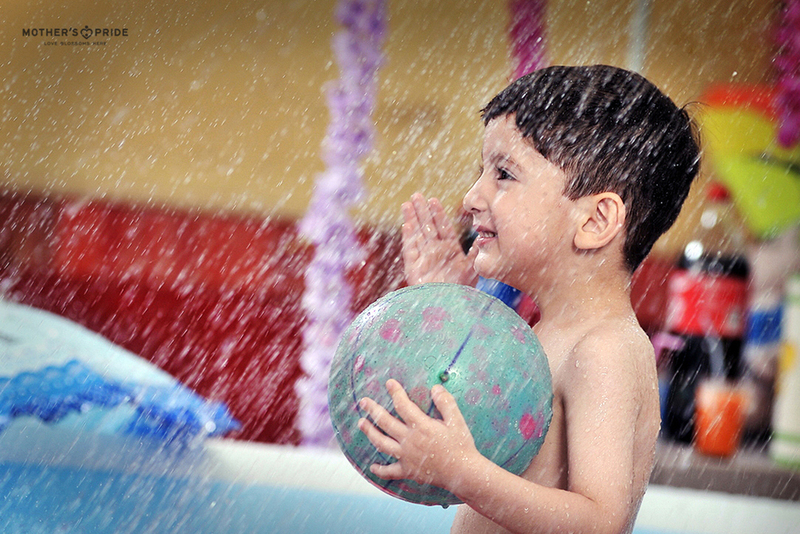 The visual and tactile sensory stimuli strengthen their gross motor skills. They also get to learn about colours and shapes in a fun way. Who doesn’t enjoy being cool by the pool? 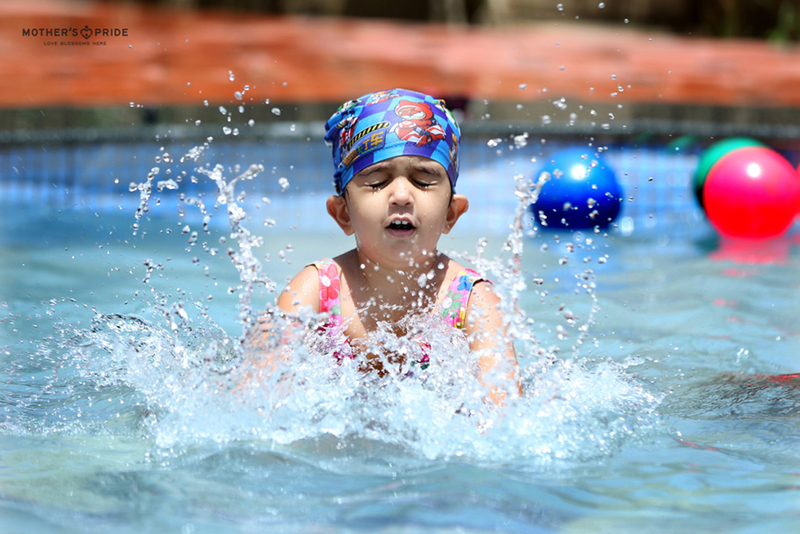 When the temperatures soar in summer, to beat the heat, our Prideens take a dip in the pool of love. Never would you witness pool parties any cuter than the ones at Mother’s Pride! 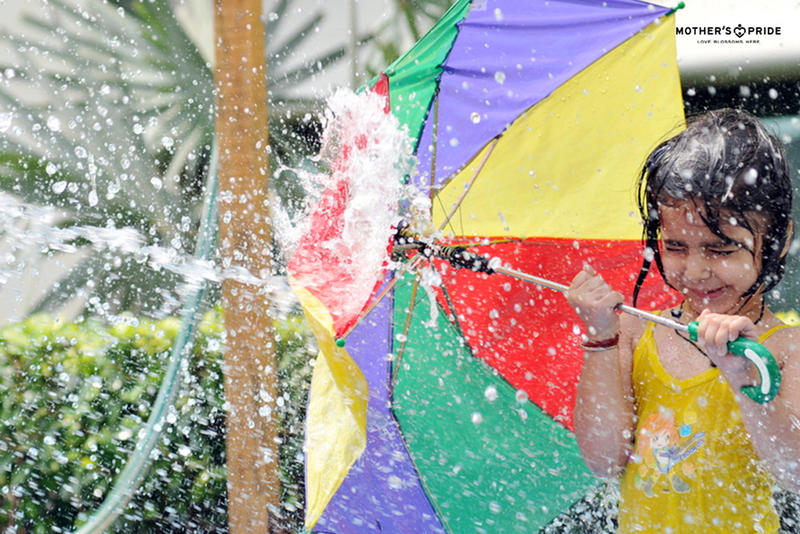 Dressed in colourful swimming costumes, the Prideens splish-splash in the water, enjoy a rain dance under a huge fountain and have a delightful time with their peers. 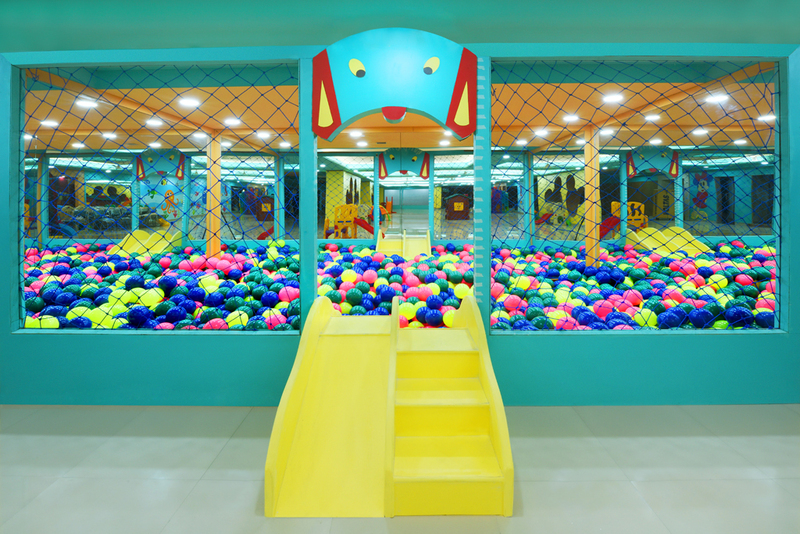 Other special arrangements are also made to make their experience more delightful such as slides, colourful balls, toys and sand play. 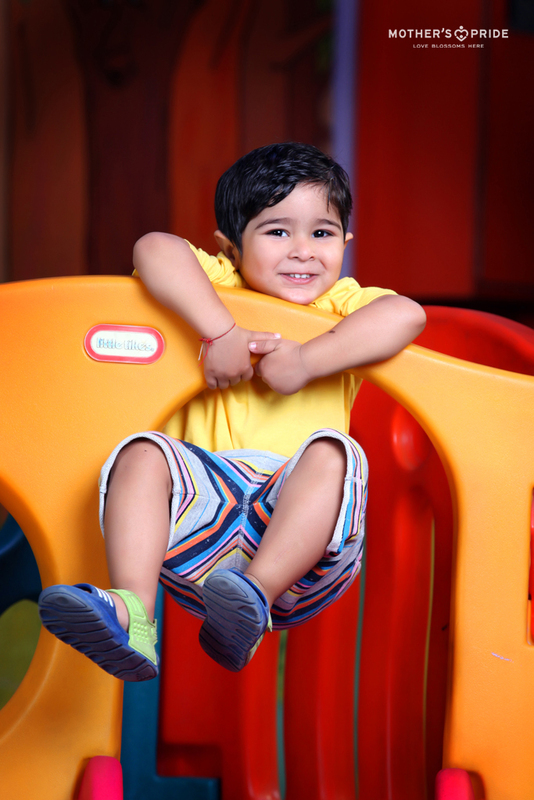 This activity is yet another way to develop the social skills of our toddlers.